Views of the Glass Mountains from Owens River Rd. Awesome. 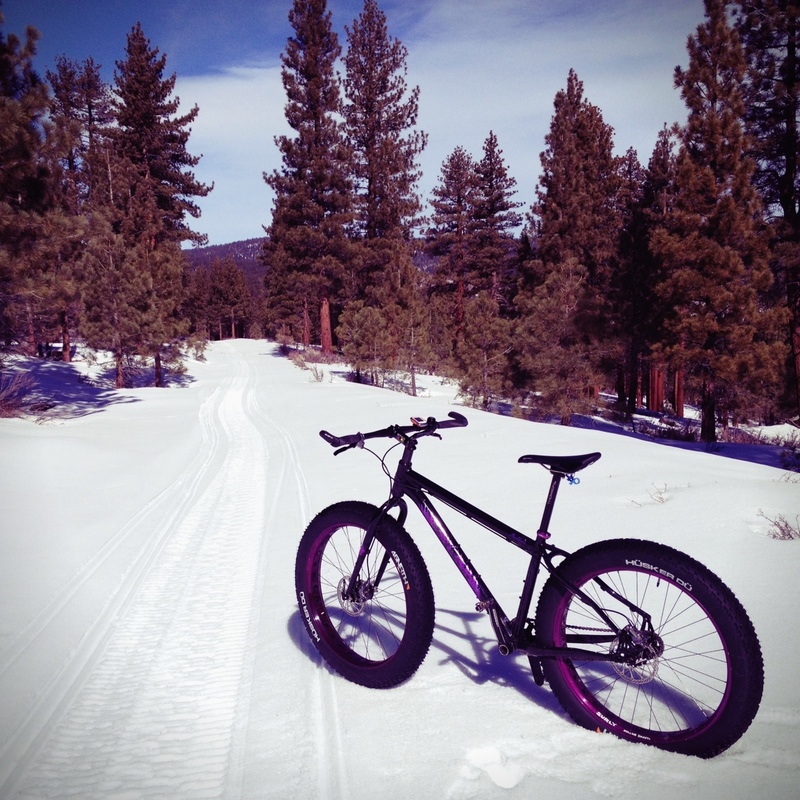 A fat bike is the perfect way to explore the Long Valley Caldera on the east side of Highway 395. 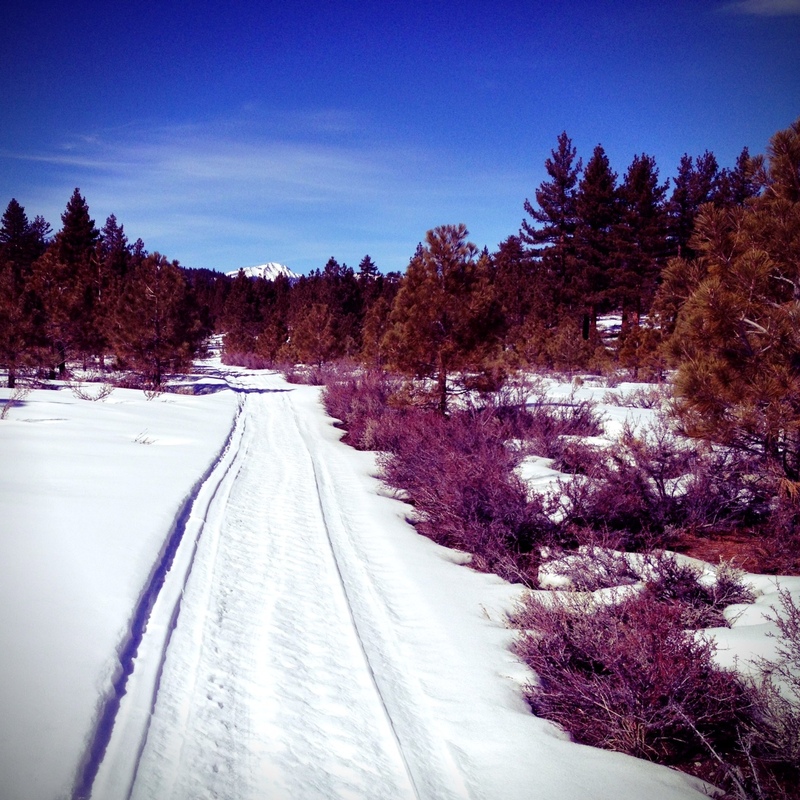 There are tons of un-groomed Forest Service trails and roads with endless possibilities. Snowmobiles tend to roost all over the place back there, making most everything rideable at the right time of year. For me, that happened to be mid-February. It hadn’t snowed in a couple weeks, so the snow was pretty packed and condensed already, so even where there wasn’t a snowmobile track, I was able to ride most everything. 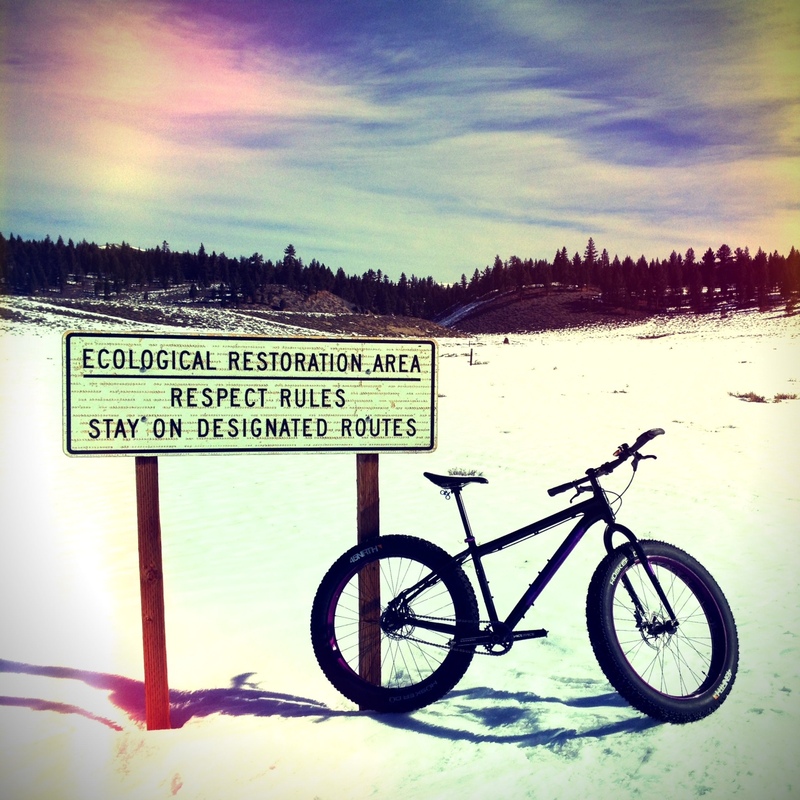 I used a Forest Service Winter Recreation Map to figure out which trails were un-groomed and thus legal to fat bikes, and then headed out. I wound up making a loop that consisted of part of “Big Smokey Bear Loop” ( a summer bike trail) and then a bunch of smaller USFS OHV trails that eventually led to Owens River Rd. I was rewarded with views of Bald Mountain, and the Glass Mountains. Then as I started heading south, I was able to see McGee Mountain and eventually Laurel Mountain. Awesome. The snow was pretty much melted out on Owens River Rd, and I just rode on dirt for a few miles, admiring the gorgeous views and the solitude of being alone. After riding for a bit on Owens River Rd, I jumped on a power line road and started heading west back into the forest. 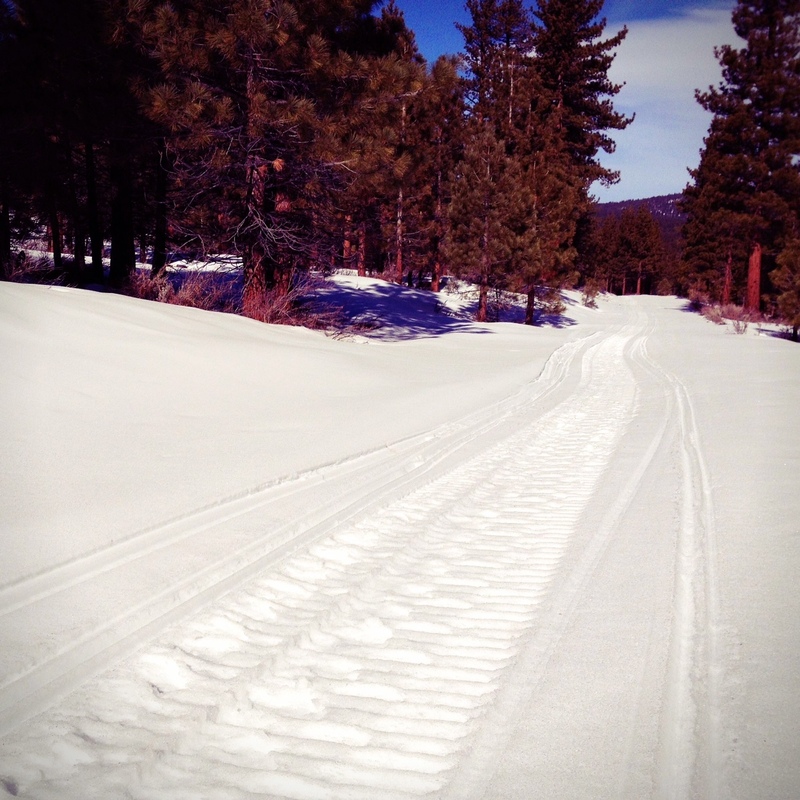 I caught up with some snowmobile tracks and started climbing my way back through Little Antelope Valley. Eventually, I hooked back up with “Big Smokey Bear Loop” / Rd. 3s06, and made my way back to the car. All in all, it was a peaceful 27 miles and 2,300′ climbing. 80% on snow, and I was able to ride almost the whole thing with just a couple sections of hike a bike due to soft snow. I would struggle re-create this exact ride, so luckily I tracked it and have the GPS file :). 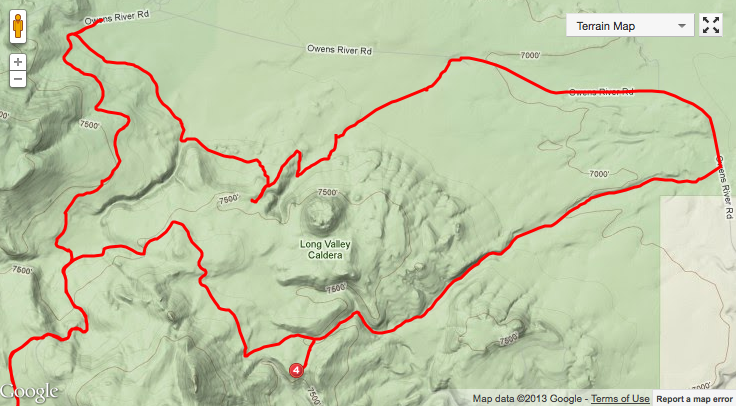 If you are interested in doing a ride like this, email me and I’ll shoot you the gpx track. 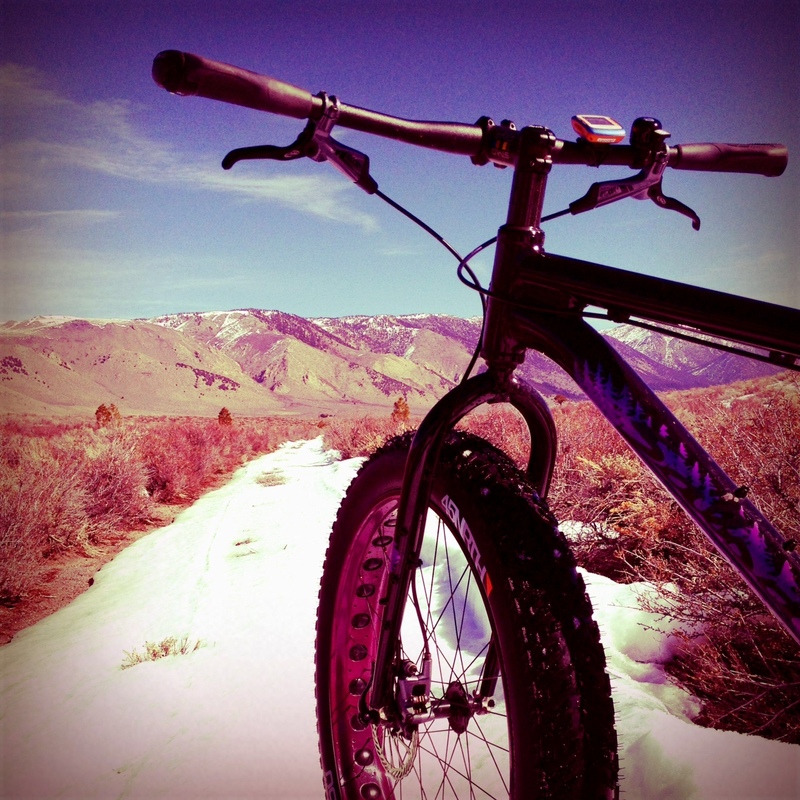 Fat biking is proving itself to be a viable tool of exploration out here in the Eastern Sierra!! I’m addicted!! 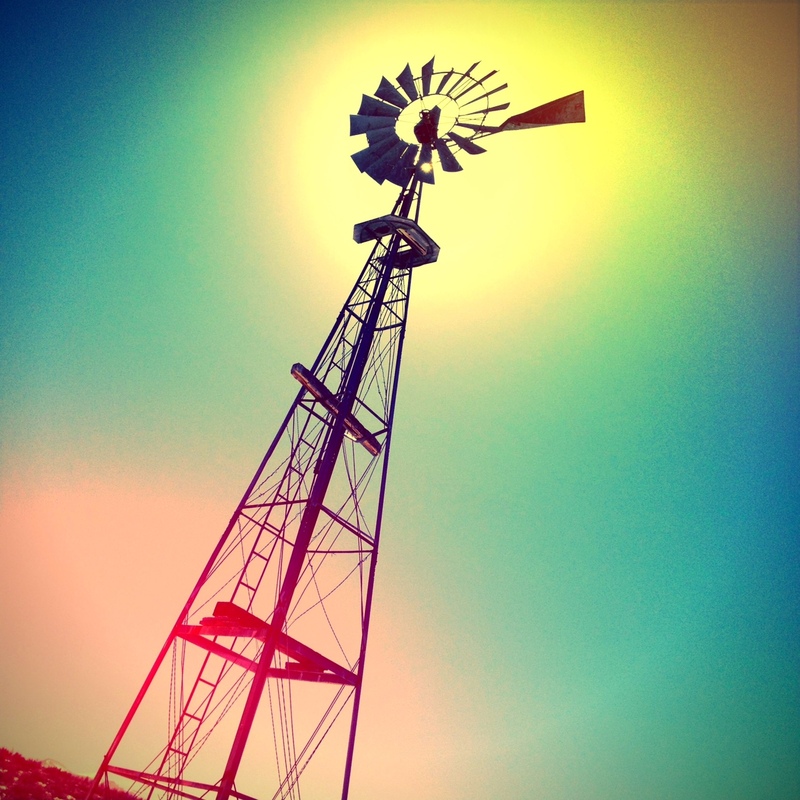 An old windmill near Owens River Rd. Taking it all in. Between Smokey Bear Loop and Lookout Mountain. This trail sign for Big Smokey Bear Loop has seen better days. Another shot of a “powder track”. Perfect riding conditions. Looking out to Bald Mountain in the distance. 360 views on this ride! A desolate USFS trail, heading out to Owens River Rd. 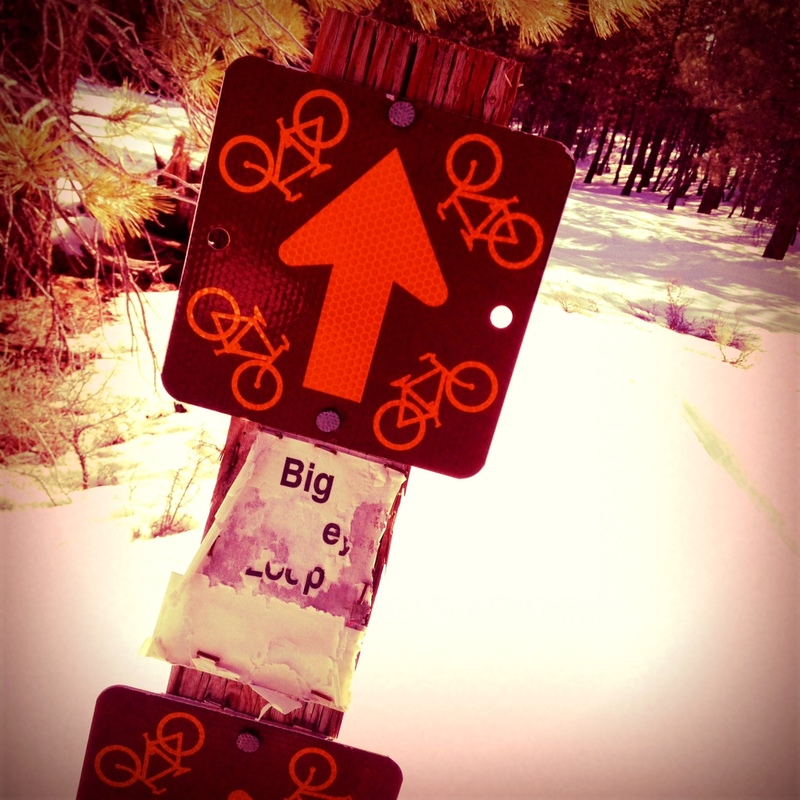 This entry was posted in Favorite Rides, Snow & Fat Biking and tagged caldera, fat bike, long valley, mammoth, mukluk, pugsley, salsa, snow bike, surly. Bookmark the permalink. 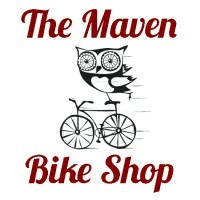 I need to get my bike so I can ride with you.